Celebrating my 1st Anniversary with Rave Reviews Book Club. 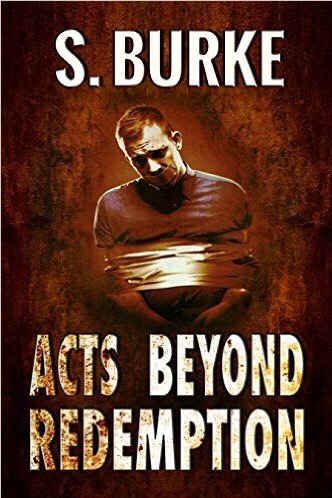 #RRBC #RRBC_ORG – Welcome to the World of Suzanne Burke. I have SO many reasons to celebrate my 1st Anniversary as a member of the Rave Reviews Book Club. Celebrating my Anniversary with Rave Reviews Book Club. #RRBC … A place to belong. How can it possibly have been only one year since I joined Rave Reviews Book Club? So much has happened, so many marvelous new innovations have occurred; I’ve grown as I’ve learned … and… in only one year. Before you read on, please allow me to make one thing VERY clear … If you are looking for a ‘you-scratch-my-back and I’ll scratch yours’ site … LOOK ELSEWHERE! There are a gazillion Vanity sites out there if that’s truly what you’re looking for. Rave Reviews Book Club has clear, concise and logical guidelines: take a look at just one of the many things they encourage every member to follow. Q: What is the GOAL & MISSION of RRBC? : OUR GOAL & MISSION HERE IS TO PROFILE, PROMOTE & PROPEL INDIE AUTHORS VIA BOOK SALES, HONEST REVIEWS AND NAME RECOGNITION. We’re not contributing to an author’s book sales when we “borrow” their books thru Kindle are we? NO! We’re not contributing to an author’s sales when we download the FREE sample that Amazon offers to us and we post a review from that, are we? NO! Lastly, we are in no way helping an Author when we post reviews of their book that are not HONEST reviews. If you are to be recognized as a TRUE SUPPORTER here, we ask that everyone play by the rules. If you head to our BOOK CLUB SELECTIONS FOR REVIEW page, down in the comments section, it is clearly obvious those members who are being supportive. Make no mistake about it, WE’RE NOT JUST AFTER REVIEWS HERE! Our mission is to give ALL members our full support by purchasing their books, reading their books and then sharing an HONEST review of their book. When it’s your turn, aren’t you going to expect the same? I love the level of excellence RRBC stands for and strives for, each-and-every day. The club inspires us all to be the very best of who we are. I love the honesty and values this club espouses. The many reviews I’ve received on my books have reflected that constructive honesty. I have grown and learned as a result. I am still utterly stunned at the wonderful support the club gives to its members. It inspires me to do more. And for me the most precious thing of all is the friendships that have blossomed and grown here. I have been welcomed and included in the warmth, support, and human kindness of a large group of people. Those friendships have enriched my life beyond measure. I have reasons aplenty to celebrate the day I joined Rave Reviews Book Club. Here is a link to the club, stop by and take a close look, I believe you’ll enjoy the experience even more than you hoped for. (((HUGS))) back, my friend, and thank you. Happy anniversary! The RRBC group is amazing! Thanks, Jacquie, they certainly are! 😊 Thanks so much, Jennie.